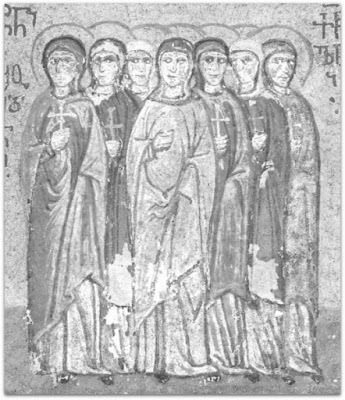 These Saints lived during the reign of Emperor Maximian (286-305), who began a great persecution against Christians. 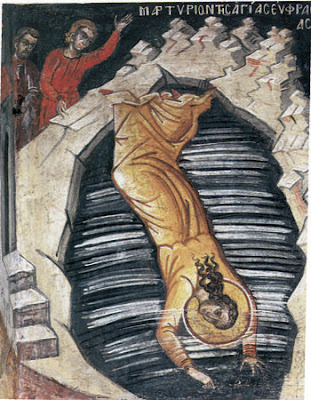 At this time men and women of all ages confessed Christ, and were put to death by various means of torments. 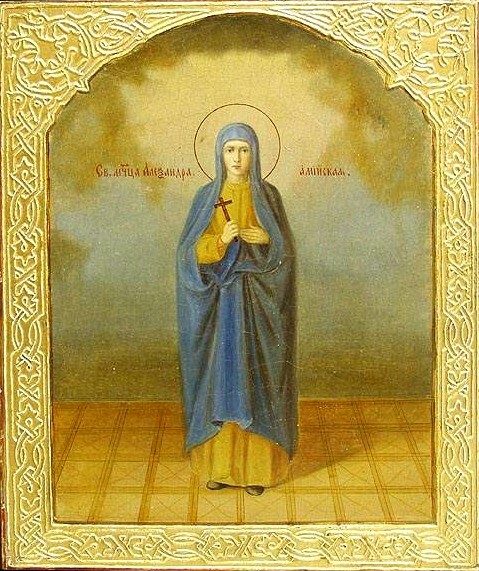 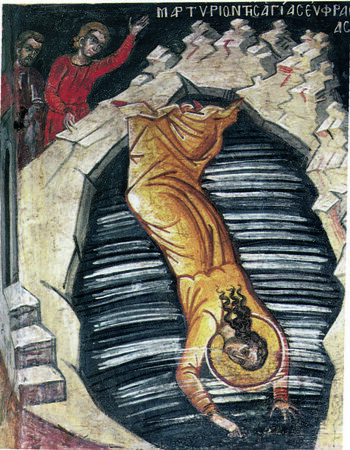 Since this much-distressful persecution also took place in Aminsus of Cappadocia, where the governor inhumanely put to death the Christians, these seven holy virgins boldly stood before the governor, they confessed Christ as true God, and called the governor inhumane and monstrous and the enemy of truth. * Because seven is indivisible by any other number with a whole remainder (other than by “wholeness,” or one), it is known as the “virgin” number by mathematicians.This is why the Seven Virgins are compared with the virgin number of seven. 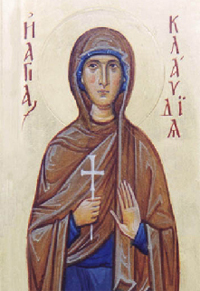 ** In the Menaion Theodora is called Theodosia.